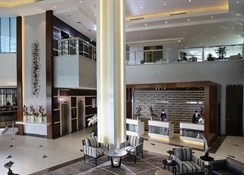 Situated in Dubai, Auris Inn Al Muhanna Hotel is not more than a 25-minute drive from Dubai International Airport. The hotel offers facilities like free Wi-Fi, robust housekeeping and a large outdoor swimming pool. This 4-star hotel also offers free parking. While some rooms at the Auris Inn Al Muhanna Hotel offers a balcony, all provide a desk, a flat-screen TV and a private bathroom. Additionally, rooms are also provided with an electric tea pot, air conditioning and breakfast in the room. The hotel is located very close to the sea, with Al Sufouh beach being the nearest tourist beach. The hotel also provides shuttle services to various key transit points. The nearest beach is Al Sufouh, at 4.6km from the hotel. Key business centres like Internet City and Knowledge Village are less than 2.5km from the hotel. For visitors to experience shopping, the Dubai Marina Mall is 5.6km and the Mall of the Emirates is 6.2km from the hotel. Families with children can have a wonderful outing at the IMG Worlds of Adventure amusement park, which is 23km from the hotel. The Dubai International airport is 30km north from the hotel. 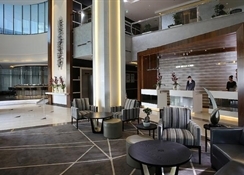 Showcasing modern architecture with contemporary design, the hotel offers an assortment of 145 rooms and suites, with options of choosing from smoking and non-smoking rooms. 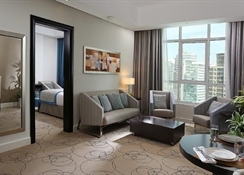 Guests can choose between Classic twin rooms, Classic double rooms, Premium double rooms, Premium twin rooms, one-bedroom suites and executive one-bedroom suites. Room amenities include a balcony, mini bar, direct dial phone, safety box and much more. 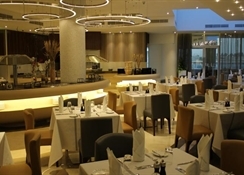 Enjoy Arabic and international cuisine at the main Didon Restaurant which serves buffet breakfast, lunch and dinner. The Ucci Sushi restaurant is home to authentic Japanese cuisine with sushi being their specialty. You can ask the chef to make a customized sushi for you. A lot of action happens on the terrace at the B Lounge. Taste the best shisha flavours as you help yourself to gorgeous salads, sandwiches and beverages. The Lounge Café is there to the rescue of tea and coffee lovers, with their delectable range of tea, coffee, fresh fruit juice, ice-cream and pastries. Guests can also avail in-room dining options in the comfort of their rooms. 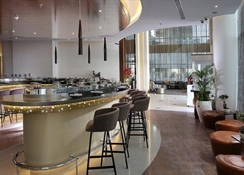 The hotel offers a range of health and wellness activities to indulge in. The treatment rooms at the hotel offer spa, massages and sauna services. 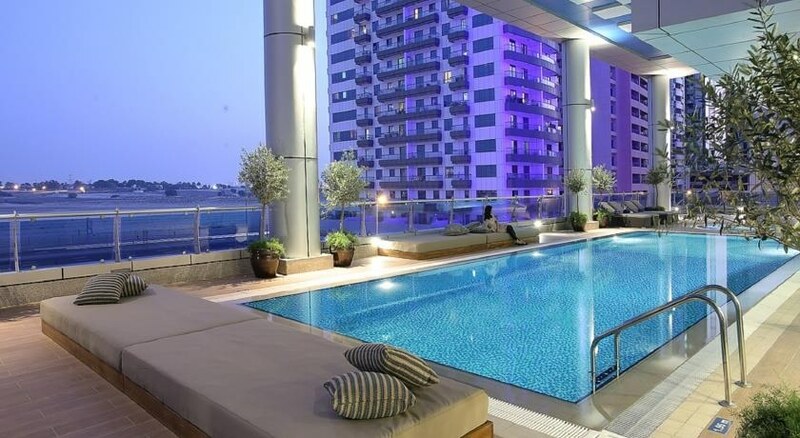 Guests can take a dip at the outdoor swimming pool and soak in the Dubai sun at the sunbeds. The hotel also offers a state-of-the-art fully equipped gym.